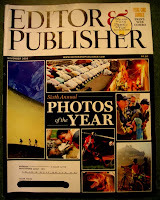 In the ongoing attempt to chip away at the edges of my collection, attention has fallen upon the extensive collection of Editor & Publisher magazines in the archives. 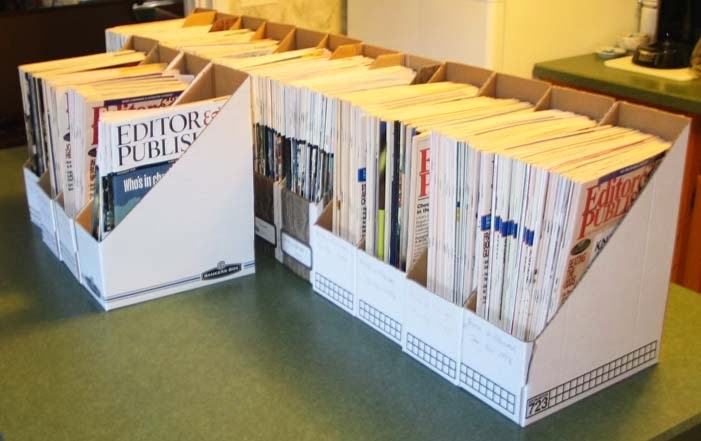 I'm having misgivings about the prospect of getting rid of all the bound volumes, of which there are a hundred or so, but I decided that the loose issues that represent my subscription to the magazine from 1997-2009 are going to have to face the chopping block. 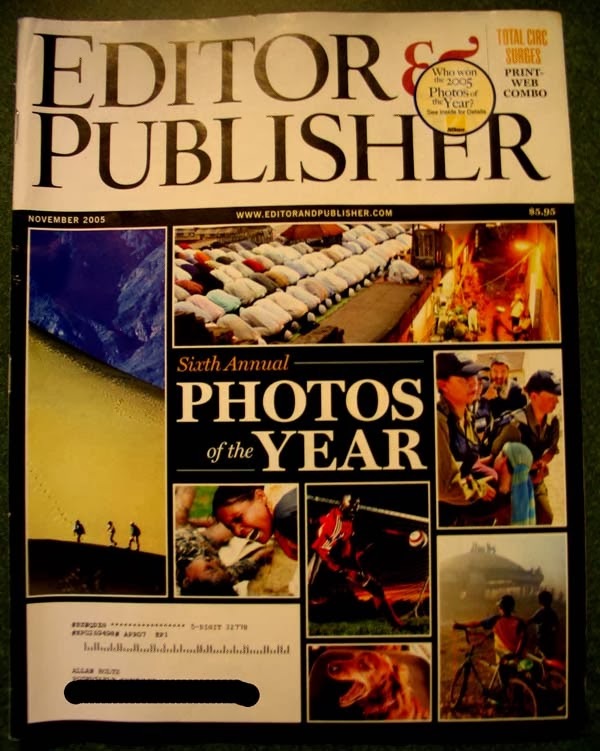 there's dry stuff about comings and goings at the nation's newspapers, but there were also a lot of very interesting articles about how major stories were covered, discussions about trends in newspaper journalism and so on. 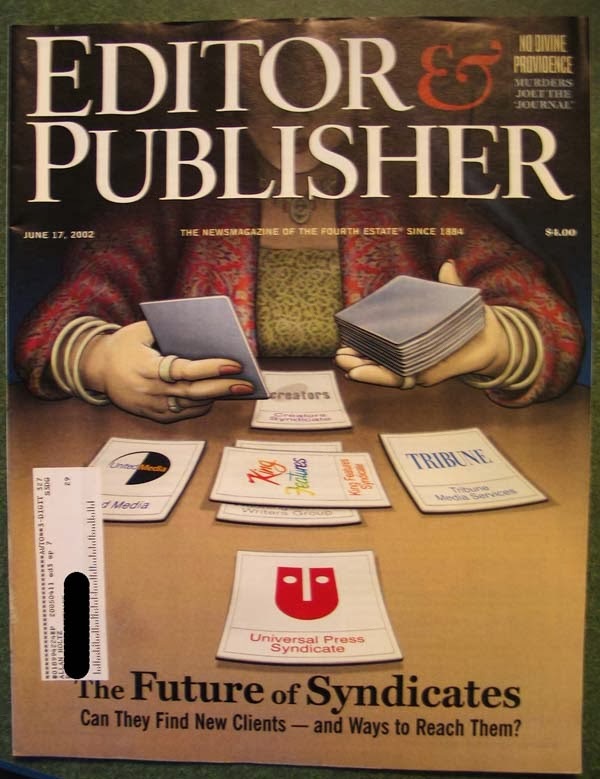 Of course in those years there were some really interesting developments like the internet, 9-11, the Iraq war, the botched 2000 election -- all of which were covered extensively, and from a unique perspective, by E&P. 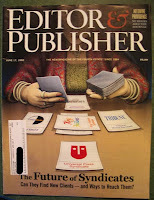 I stuck with E&P pretty much to the bitter end, even after their syndicate coverage suffered greatly by canning editor Dave Astor around 2008. Then the print edition became so expensive that I could no longer sign the annual check without breaking into a cold sweat and I had to give it up like a bad habit. 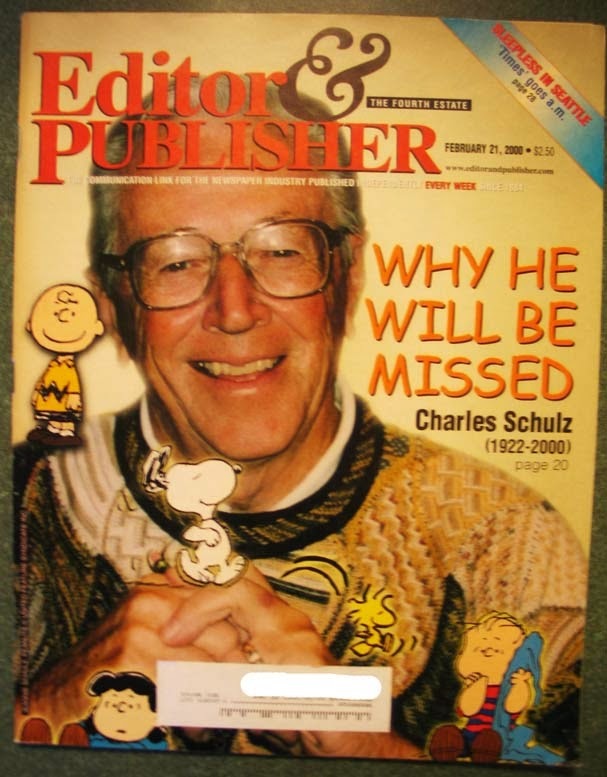 But now those 1997-2009 issues have got to go. If any Stripper's Guide reader is interested in being the new owner of this collection, I'm asking only that you pay the cost of postage. If no fellow researcher here wants to give the collection a good home, it'll go up on eBay. I don't imagine I should expect a real torrent of requests, but just to be on the safe side, let's set the rules. If you contact me and say you want the magazines, include your mailing address. I will then figure out the postage to get the collection to you (Media Mail, cheapest way I can find), ask you if that's okay, and send you a Paypal invoice, which you pay. First person to complete that process is who gets it. No whining if you're slow on the draw please. Before letting these magazines go, I made one final pass through them, looking for articles about features I've never seen. Tomorrow's post will be a list of those mystery strips I've found, along with my usual begging that if you know anything about them, or joy of joys, have proof that they ran in some paper, to please contact me.